Spotlight on Lebanese Screenwriter Joelle Touma, Now a Rare Oscar Nominee from the Middle East! Even though The Insult is now an Oscar-nominated film – a first for Lebanon – it seems that the mainstream media is focusing primarily on Ziad Doueiri (the director) and his contributions to the film, making for another case where the female filmmaker is left in shadows and receives no recognition for all the work she put in. As an Arab woman as well as a film student, the news of the nomination was definitely bittersweet. I was delighted to hear that an Arab film was deemed Oscar-worthy, but I also expected there would be no recognition of Joelle Touma despite the fact that she is a respected screenwriter with many strong features that she worked on before The Insult. Indeed, this is now the case. A simple Google search for “Joelle Touma” or “The Insult” leads one only to interviews and Q&As with Ziad Doueiri, leaving no room for Joelle Touma to voice her own perspective on the film. I would like to take this opportunity to applaud Joelle Touma and use this platform to highlight her successes (without portraying her as part of a group or as occupying a secondary role in the production of her features). Based out of Lebanon, Joelle Touma has been writing screenplays since 1998. She started her career in the entertainment industry focusing primarily on TV and theater and later shifted her attention towards film. 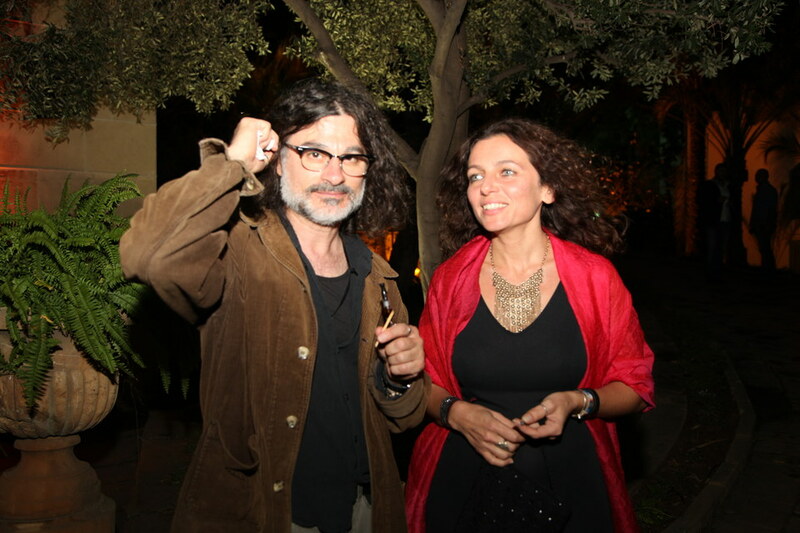 Touma is credited with writing socially-motivated films, alongside Ziad Doueiri, including the Oscar-nominated The Insult, which is not Joelle Touma’s first attempt at a socially-engaged story. In fact, all of her films deal with religious and societal issues rooted primarily in the Middle East. Touma co-wrote three films that deal with the status of the Middle East in the developed world: Lila Says (2004), Just Like a Woman (2012) and The Attack (2012). Despite having different directors and co-writers, the films that feature Joelle Touma are all interconnected, through what can only be her touch and vision, in that they deal with bridging the gaps between seemingly opposite cultures. Touma uses her films in order to explore the various positions that the Middle East occupies in the developed world. She sets her stories in Western locations and creates complex Middle Eastern characters that may, or may not, find peace in the Western world. When watched one after another, her films play out like a series of possible scenarios: on the one hand, she wishes for a fusion between both cultures, and on the other hand, she faces the sometimes-insurmountable chaotic reality that exists in that region. Although the spotlight has only recently shined on her, Touma has been writing films since the early 2000s, the first being Lila Says. Lila Says presents a preliminary version of Touma’s call for a peaceful fusion between European and Middle Eastern values. The film reads much like a Virginia Woolf novel, where there are very little advancements in the physical world in favor of a deep exploration of the mental universe that resides within each character, as well as their ever-so-slight evolutions due to different interactions. Touma explores the prejudice that forms within Arab lower-class communities in first-world countries, as an inevitable result of the clash of tradition and modernity. Caught between their home values and the life they must adhere to in France, they chose to form their own version of a "Chinatown," where the conservative rules of their home-countries are still very much alive, especially in older generations, portrayed by parental figures such as Chimo’s mother (Carmen Lebbos). In this dual society, the younger generation finds itself caught between two worlds whose views on life and sexuality are completely opposed. The introduction of “Lila” (Vahina Giocante) into this deeply fragmented milieu is a successful move by Touma in order to shake up the status quo. Her character is crafted to confirm every single one of the neighborhood’s prejudices. She presents herself as an immensely sexual and promiscuous woman, tells stories about her adventures that stretch as far as Texas, and seems focused on getting the attention of “Chimo” (Moa Khouas). The love story that emerges between Chimo and Lila allows once again for another instance where prejudice is overcome; the characters find themselves deeply connected despite their differences, and the neighborhood’s rejection of the relationship. Throughout the film, both characters show more and more depth, which allows them to surpass stereotypes and to see the humaneness in one another. In that sense, here, Touma goes beyond culture and encourages connection based solely on emotion and humanity. In this remarkably emotional and touching film, Joelle Touma peacefully, but profoundly explores the Middle East’s position in the West. She continues her exploration through her next films, which include Just Like a Woman, The Attack, and The Insult, all of which we will explore in a companion post.